Sydney, with its pale, colonial stone buildings set around that spectacular harbour is New South Wales's main event, but it's only a short journey from there to the vineyards of the Hunter Valley, the magical Blue Mountains, or to coastlines perfect with yellow beaches and dramatic cliffs. Or you can lose yourself in the rural interior, both the cattle country this land lives on or the silent bush, inhabited by the unique fauna for which Australia is known. The best places to stay in New South Wales include everything from chic-tastic city break pads to remote spots where it's just you and a view of the ocean. There's so many reasons to visit New South Wales that it's hard to list the highlights. Surfers love Byron Bay, there's skiing in the Snowy Mountains and the land in between has a wealth of different national parks and a smattering of old country towns. Of course there's Sydney, historic, yet bursting with life, and arguably one of the world's most beautiful cities. People wax lyrical about Sydney's colours: the shimmering green-blue of the harbour with its white sails, the bright blue of the sky, the yellow of the beaches and the golden shades of sunshine which turn skin the same colours. Sydney is more than just a glorious picture, it bursts with energy and flavours just as intense as the colours. Most visitors can't resist the harbour's call for much longer than it takes to unpack their luggage, and there are a number of ways to enjoy it. Don't miss a jaunt across to Manly, less than an hour on the ferry. It was once the 'summer retreat' of Sydney's fashionable set, or a ferry ride to Taronga Zoo, one of the world's most spectacularly located zoos. The Inner Harbour's treasures - the bridge, the Opera House, the botanical gardens and the Rocks - are an exceptional spot to stroll around. There is the bustle and excitement of the fish markets - and of course the promise of a fantastically fresh seafood lunch - unmissable. While the fame of Bondi makes it irresistible to many, this whole stretch of coast, from Bondi to Coogee Beach, is worth a wander, if you have the time. Bondi's Sunday markets add an extra appeal. New South Wales is in places bone dry, with great expanses of desert, and strange unforgiving, almost lunar-like landscapes. In other places it's moist with rainforests and barrelled through by great rivers. Both the Bega and the Hunter Valleys are lush and wide. Stretching between the hills of north Sydney and Newcastle, the Hunter Valley is one of Australia’s best known wine regions and a centre of fantastic food too. While the Bega Valley is the same - but for cheese. 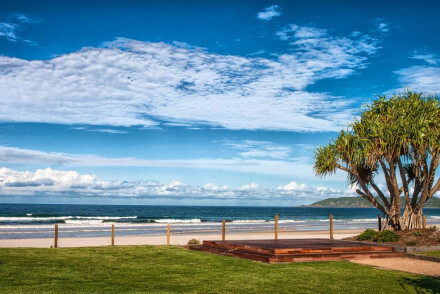 Byron Bay is another highlight for many, one of Australia’s best known beach towns. It has the spectacular beaches that this whole strip of coastline is famous for and a wonderfully relaxed vibe which flows down from the hippy communities in the hills surrounding the town - Nimbin being the most famous. Cape Bryon Lighthouse marks Australia’s most easterly point and if you can get down here for daybreak you’re in for a beautiful sight. That’s the best way to do things in Byron, take strolls, enjoy your food at a leisurely pace, relax into the evenings, amble along the beach and don’t come in until it’s really time for bed. This is definitely a place to travel across - you really need to see more than just the city. And that's what people do. Families camp, or take driving holidays, backpackers do the coast run and retired folk tow their caravans to wherever they fancy. The best places to stay in New South Wales (especially those in Sydney) will get very busy during the peak holiday periods. So if you're coming then, plan well ahead. 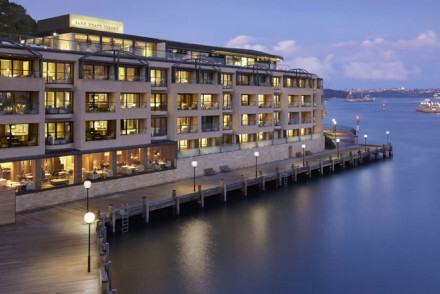 Sydney's Park Hyatt is a five star luxury classic, in a fantastic spot at the end of Circular Quay beside the bridge and opposite the Opera House. As well as opulent decor and a range of room styles, the Park Hyatt has a heated rooftop pool and fully equipped gym and spa. ADGE Apartment Hotel in Darlinghurst offers 12 stylish, self-catering apartments within an easy stroll of all the city's highlights. Each apartment has its own balcony with great views, and top of the range kitchen appliances. 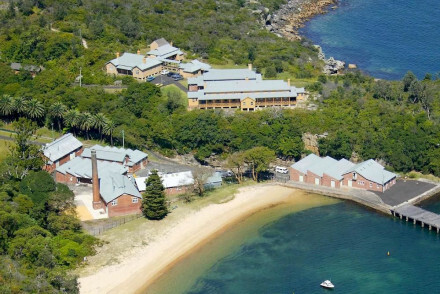 Manly’s Q Station is an old Quarantine Station which has been completely renovated and now offers 82 comfortable rooms, suites and private cottages. 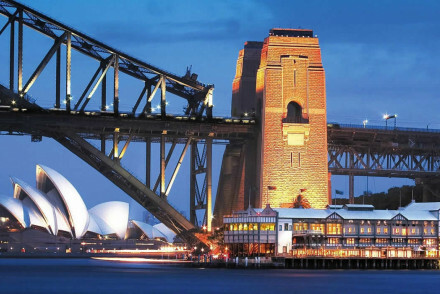 It also has two great restaurants, a private beach and a shuttle service to Sydney Harbour. 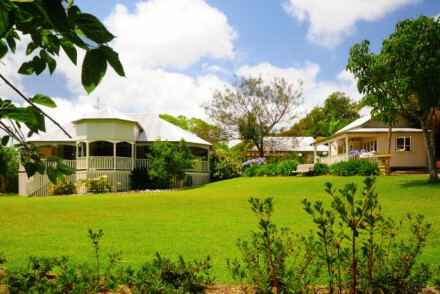 The Bangalow Guesthouse is a heritage property just up the ‘hill’ from Byron Bay in Bangalow. There are only four rooms and the decor is elegant with clean, white lines and original artwork. Enjoy breakfast overlooking Byron Creek from the verandah. 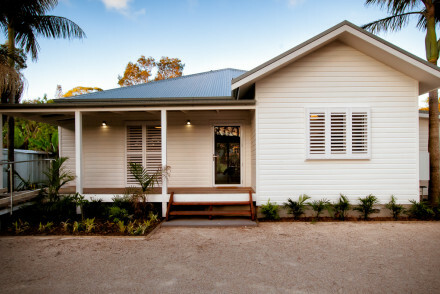 The Victoria's at Ewingsdale is also just outside Byron Bay, set in four acres of lush gardens near Ewingsdale. The rooms and suites have their own balconies, or else open on to the courtyard. Breakfast is served on the terrace by the palm fringed salt-water pool. Tucked in the Kelman vineyards, Hunter Valley Cooperage is a charming B&B with just five, crisp, modern rooms - some with terraces - and very helpful owners who can help plan wine-tasting tours. There’s a tennis court on-site, plus horse-riding and cycling trips can be arranged. 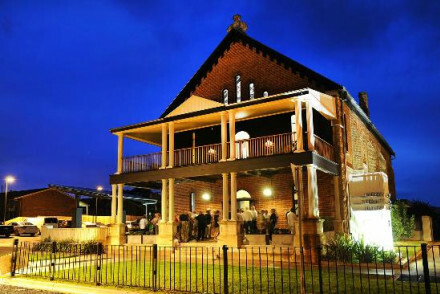 Peppers Convent, a former nunnery, sits among the vines of The Pepper Tree Vinery and is a treat for foodies; its restaurant is considered one of the finest in Hunter Valley. Rooms are modern country-house and overlook the gardens or vineyards. Tennis, riding and occasional opera performances are also offered. 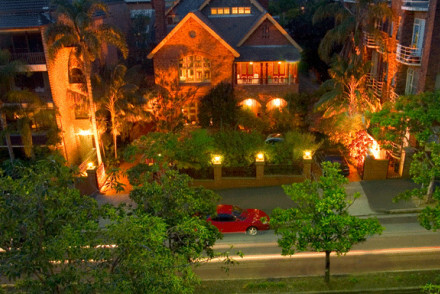 The 12 room Echoes Boutique Resort is a luxury hotel which also overlooks the Jamison Valley. There’s a spa, pool, sauna and an award winning restaurant. 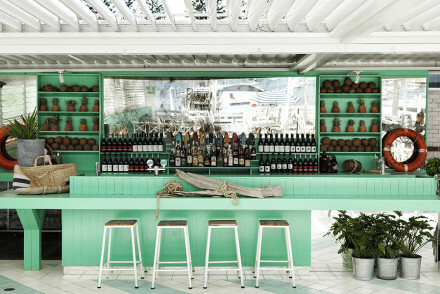 Victoria's at Wategos is right on the beach just minutes from the Cape Byron Lighthouse. It has just ten guest rooms, most with private terraces, and wonderful ocean views. The interiors are stylish - expect four-poster beds, marble bathrooms with spa baths, subtle shades of cream, plus there are open fires in the cooler months. The Byron at Byron Resort and Spa is a 92 room luxury resort hotel set in 45 acres of rainforest just minutes from the beach. The rooms are light and airy and some have their own kitchens and/or huge freestanding bathtubs. As well as the pool and spa they also offer daily yoga classes. Spicers Sangoma Retreat hasonly five luxurious suites, and an ecological bent. Each suite has a private plunge pool, a huge Philipe Stark bathtub for two and a private terrace. There’s also seasonal food served. 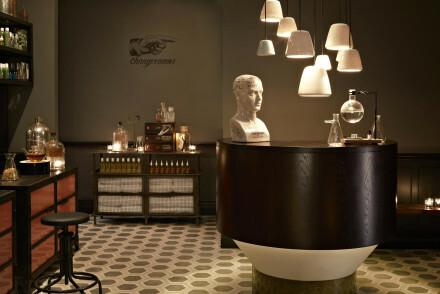 The Medusa in Darlinghurst is a small boutique hotel converted from one of Sydney's charming city terraced townhouses. Darlinghurst is a great spot for restaurants, bars and nightlife, and you'll feel suitably hip and colourful retiring to your room. 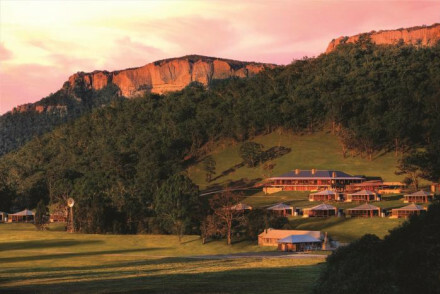 Wolgan Valley Resort and Spa is set amid 7000 acres of conservation and wildlife reserve. Interiors are stunning, plus there's a spa for pampering and much much more. A back to nature delight for those with deep pockets! The Chateau Elan is a luxurious resort in the heart of the Hunter Valley, with an excellent spa and an 18 hole golf course. There are 100 large rooms and suites in a contemporary style. The Paperbark Camp is an eco-retreat with 12 luxurious safari tents siting among eucalyptus and paperbark trees sort of near Woollamia. Each tent has its own deck area or verandah, and there’s a restaurant and communal kitchen and complimentary bike and canoe hire. 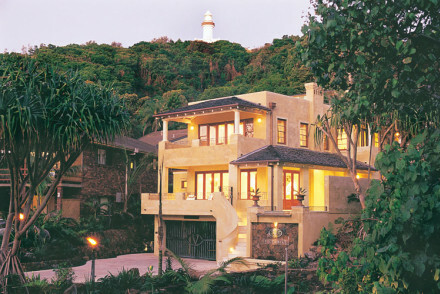 The Byron Palms Guest House is a nine bedroom beach house B&B just ten minutes stroll from the centre of town. The house is calm and peaceful and the decor simple, but smart and spacious. A communal breakfast is served in the sunny garden. Rooms start from around £60 per night. 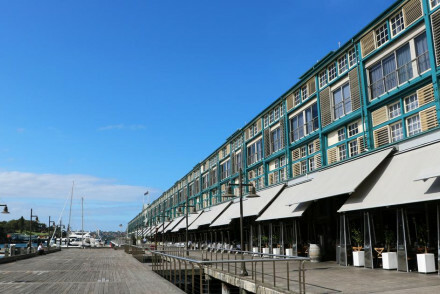 Hotel 1888 in Pyrmont is a great value boutique hotel with thoroughly modern decor inside a building built in 1888, which is only 100 years after Cook first spied Australia. Mudgee’s only boutique hotel, the Perry Street Hotel has taken inspiration for its decor from Berlin, and the result is surprisingly slick and stylish. Suites include laundry facilities and kitchenettes and rooms start from around £85 per night. 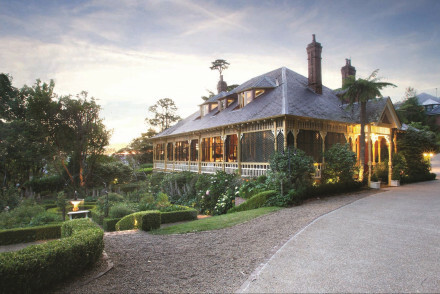 If you’re interested in antiques then Bowral will please you, pass through and stay at the Links House, New South Wales, boutique accommodation in a 1920s guesthouse with spacious rooms and suites and a large library/ sitting rooms with a cosy fireplace. Sydney Kingsford Smith Airport is the main international hub serving Sydney and New South Wales. But some of the other cities and large towns have airports too. Coffs Harbour Airport, Broken Hill Airport and Port Macquarie Airport might all be useful to you if you’re travelling around without a car. If you want to hire a car - which we highly recommend if you’re staying in New South Wales and want to see the region properly - we recommend you visit our online partner Rentalcars. New South Wales is in a temperate climate zone, so the weather is fairly mild and sunny all year round. During summer the temperatures average 26ºC, and in winter they’re around 12ºC. It does get cold in the Snowy Mountains during winter, and it can be very hot on the coast in summer. What we’re saying is that the best time of year to visit is highly dependent on where you’re planning to visit and what you’re planning to do there. But there’s really no time to avoid. Try the Blue Mountains or Byron Bay? 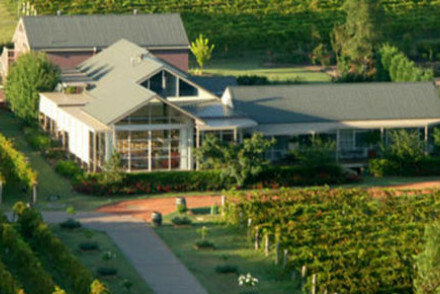 Consider one of the wine hotels of the Hunter Valley? Boutique accommodation in a 1920s country guesthouse. Spacious rooms and suites are traditional in style. Large library/sitting room with cosy fireplace for winter. The restaurant specialises in regional produce accompanied by local wines. A characterful spot for exploring the Southern Highlands. Local markets - Local crafts markets & antiques stores. Great walks - Walk the Boxvale track. 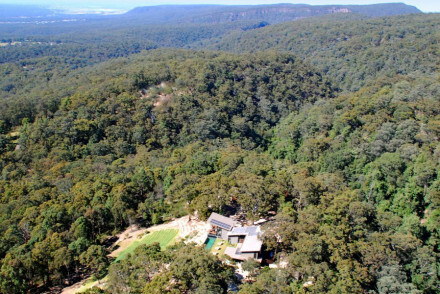 Situated in the heart of the Blue Mountains National Park. Rooms are large and light, with fantastic views across Jamison Valley. With a spa, indoor and outdoor pools, tennis courts & award winning restaurant this hotel combines country style and luxury and offers plenty for the whole family. An old Quarantine Station which has been completely renovated to offer comfortable modern bedrooms, private cottages and two fantastic restaurants. With a private beach and shuttle to Sydney Harbour - this is great for families or wedding parties looking for something completely unique. 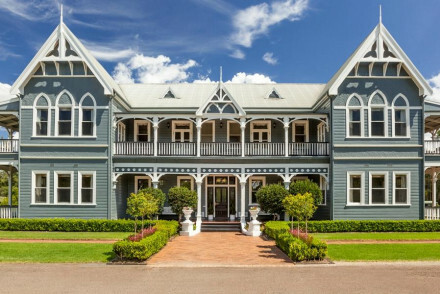 A heritage property in landscaped gardens, a stone's throw from the centre of Bangalow. Four elegant bedrooms with clean white lines and original artwork. Wide shaded verandas provide the perfect spot to enjoy breakfast whilst overlooking Byron Creek. A stylish base for exploring the area. 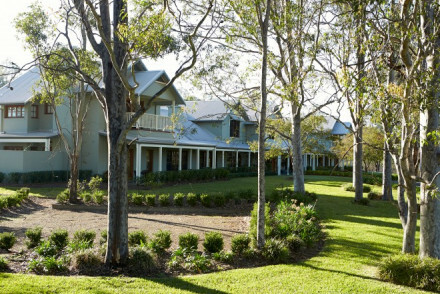 Luxury resort boasting smart accommodation, 18 hole golf course & excellent spa in the heart of The Hunter Valley. Large rooms & suites are contemporary in style & feature all mod cons including spa baths & Nespresso machines as standard. Deliciously indulgent. Spa breaks - Destination spa complex with 20 spa suites for those who want privileged spa access. Golf - 18 hole Greg Norman designed course. 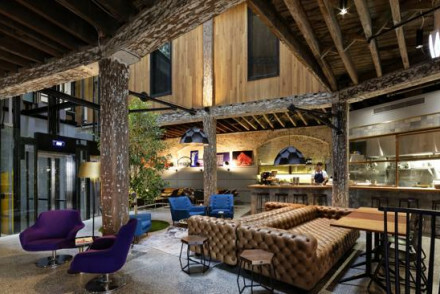 Quirky restoration of historic building ensures a stunning setting for this hip boutique hotel with day Spa in the city's CBD. 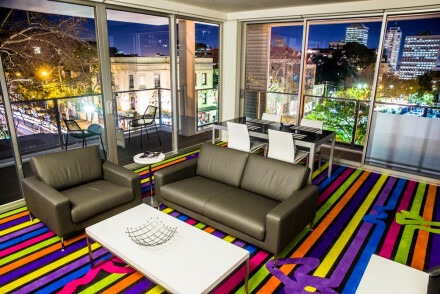 Funky decor and super soft beds make for a colourful and unforgettable stay. This bright blue old nunnery-turned-hotel offers an indulgent stay in the heart of the Hunter Valley. Spacious rooms channel French baroque style mixed with Australian country hotel, and have stunning views out to the gardens and vineyard. Perfect for a romantic soujourn amid the vines. 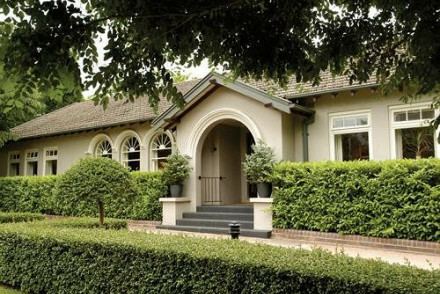 Nestled in the Kelman vineyards, this B&B is full of charm. The owners Gay and Warren have fantastic inside knowledge of the area. Rooms are comfortable with fantastic views of the vineyards. Enjoy sunny breakfasts and a relaxing stay. Perfect for exploring The Hunter Valley. 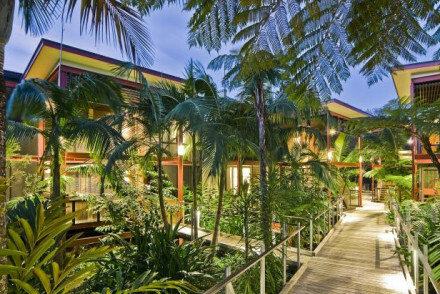 Set in 45 acres of tropical rainforest and minutes from the beach, this luxury hotel offers comfort and style in surfing town Byron Bay. Rooms are light, airy and all have private balconies, kitchens and massive freestanding bathtubs. Great facilities include daily yoga, pool & spa. 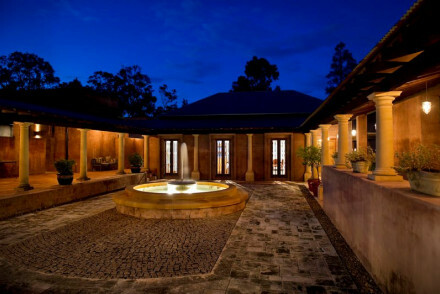 Country manor styled luxury guesthouse just outside Byron Bay, set in four acres of lush gardens. Chic rooms and suites feature private balconies or open onto the courtyard. Breakfast is served on a terrace by the pool and picnic hampers can be organised. This beautifully furnished boutique hotel is housed in a converted city townhouse to brilliantly blend old and new. Location in the heart of Darlinghurst, Sydney's vibrant restaurant district, makes it ideal for foodies. Dogs are welcome too. Sights nearby - Close to historic St John's Church, The Garvan Institute and local cafes and shops. Within easy access of the Surry Hills. Set in eight acres of English style gardens, this adults only retreat offers peace and tranquility in a stunning setting on the edge of Bouddi National Park. Hamptons style accommodation in suites and cottages plus spa, swimming pool and fabulous restaurant. A converted brewery that's unquestionably cool. Featuring a rooftop pool, hip bar, art gallery and two excellent restaurants there's plenty to keep busy with in-house. 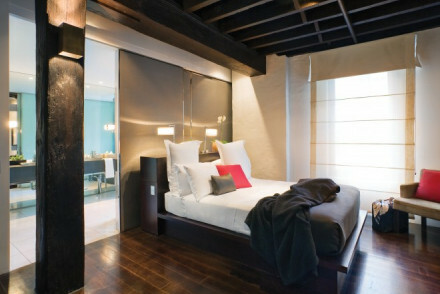 The rooms shout out urban chic with exposed stone, contemporary bathrooms and all the mod-cons. A hard one to beat. 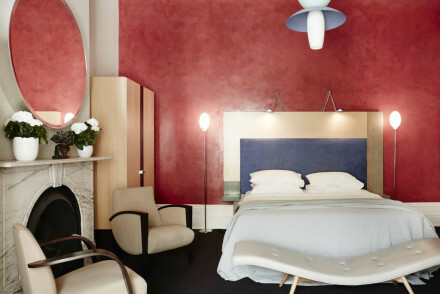 City Style - An achingly hip hotel made for design junkies. Local markets - Head to the Brewery Yard Markets on the first and third Sunday of the month. 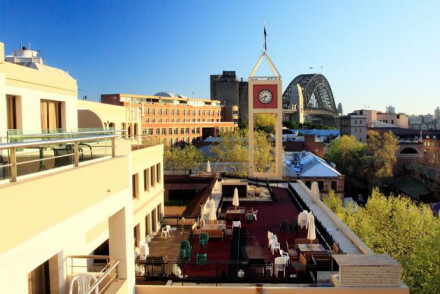 Luxury boutique hotel in the heart of Sydney's CBD. Large double rooms, three restaurants, numerous bars, and even an onsite club make this one of the hippest places to stay in the city. 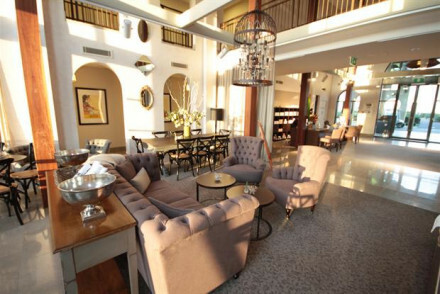 Comfort and chic contemporary style come together in this centrally located luxury hotel. Big rooms with city views, plus a restaurant and fully stocked bar on site. Re-energise with in-room spa treatments. Top of the range kitchen appliances and ensuite rooms ensure self-catering in Sydney has never been so simple and stylish. 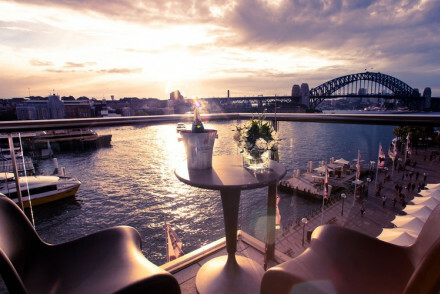 Each apartment has a personal balcony to take in the central sites of the city, six minutes drive to Sydney Harbour. Located by the beach and minutes from the Cape Byron Lighthouse, ten guest rooms boast private terraces with wonderful views. Stylish interiors feature four poster beds, white and cream furnishings and marble bathrooms. Fully air conditioned, and open fires for the cooler winter months. 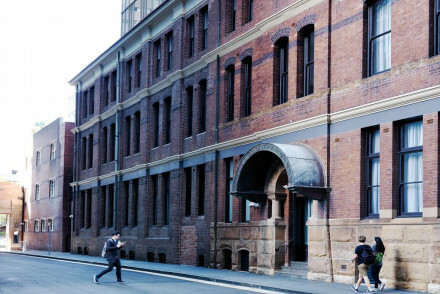 Georgian restoration meets modern design, in the heart of Sydney's Rock District. Chic self catering apartments and bedrooms overlooking the Opera House, with a swimming pool, hot tub, sauna and fitness center. A bustling area with plenty of local restaurants and bars. City Style - Mismatch of chic modern and restored Georgian architecture, surrounded by bars & galleries with views of the iconic Opera House. Great walks - The nearby Royal Botanic Gardens are well worth checking out for their extensive range of flora. Sights nearby - Just a few minutes walk to Sydney's world famous Opera House. Glamping has never been so glamourous at this eco-retreat. 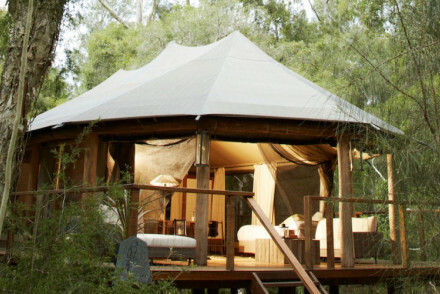 Twelve luxurious safari tents sit amongst eucalyptus and paperbark trees, each with a deck area or veranda. There's a restaurant and communal kitchen on the premises, and free bikes and canoes available for exploring the area. A place of calm and tranquility overlooking the scenic Cabarita Beach. Perfectly styled throughout creating a beach chic vibe; think patterned wallpapers, blue and white colouring, contemporary art and a mix of antique and modern furniture. The ideal spot to simply unwind. 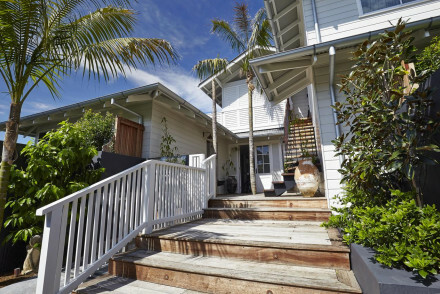 Beach Life - Situated on Cabarita beach, ideal for surfing, strolling or simply lounging. Cycling - Hire a bike and embark on a scenic coastal ride. Surfing - Grab one of the hotel's surf boards and hit the waves. Great walks - Take a leisurely stroll along Cabarita Beach. 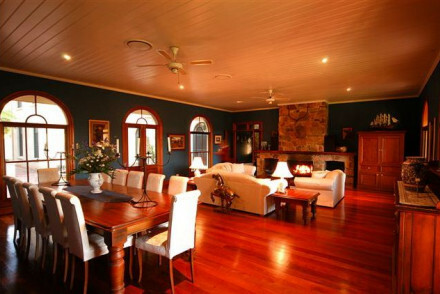 Located in the heart of the Hunter Valley set in an eight acre vineyard. This estate has 12 luxurious rooms, with ensuite spa and wood-burning fireplaces. Private spaces for relaxation or take advantage of the activities on offer. The restaurant focuses on seasonal dishes and award winning wines. 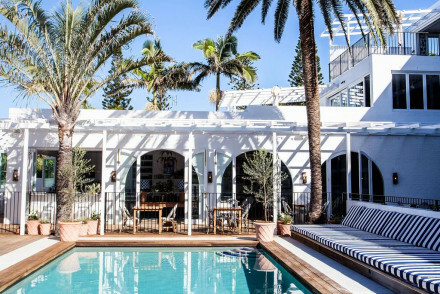 An achingly hip boutique property in Australia's iconic Byron Bay. Offering various accommodations from suites to a house for ten, all beautifully styled in white and soft grey hues. Everything has been thought of from cinema screen TVs to private entertainment areas. Fabulous. An eco-conscious and stylish property set amidst lush grounds. 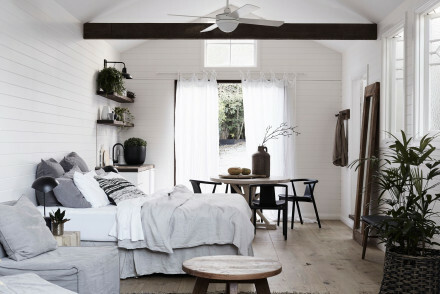 Interiors have a distinct Scandi-cool feel with bedrooms that are light and airy and boast beautiful spacious bathrooms. Featuring a top notch restaurant, poolside bars, spoiling spa facilities and yoga. Fabulous! 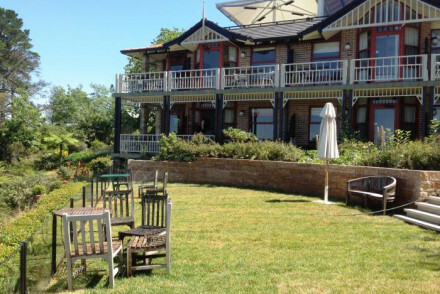 Romantic adult only retreat just one hour from Sydney. Stunning bungalows and spa villas feature private pools and outdoor hot tubs or spa baths. 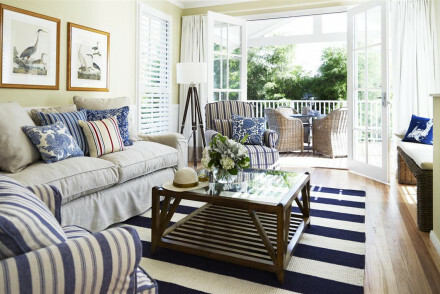 Decor is relaxed with timber clad walls, wicker furniture and glorious views out to sea. Perfect for complete relaxation. High in the Blue Mountains, this eco retreat offers five luxurious suites with private plunge pools, terraces & stunning views. Chic interiors with dark wood feature walls & huge Philipe Stark bathtubs for two. Food is seasonal, local and organic. An idyllyic spot for total rejuvenation. Views - Stunning views - on a clear day you can see the Sydney skyline! 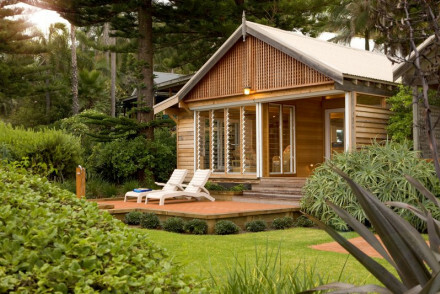 Quiet hideaway cottage conveniently close to the buzzing heart of Byron Bay. Elegant, homely double rooms come stocked with healthy yet indulgent treats, and some have a private garden and plunge pool. Communal gardens, kitchen and lounge areas are decorated in a tasteful and wholesome style. 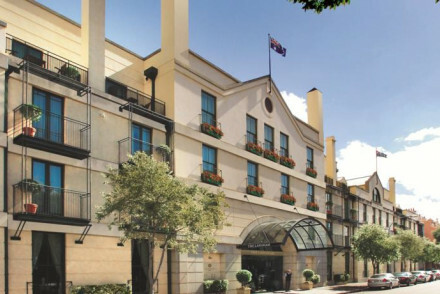 The Langham is a luxury downtown hotel situated in the heart of The Rocks district. 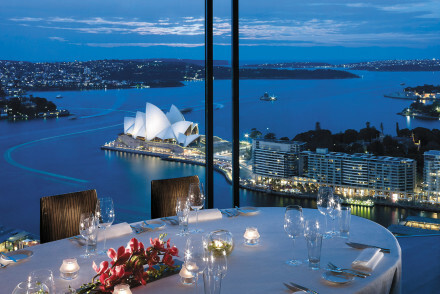 Elegant, magnificently furnished bedrooms with views of Sydney Harbour and the city skyline. A fitness suite and swimming pool are on offer as well as a number of dining areas and cocktail lounges. 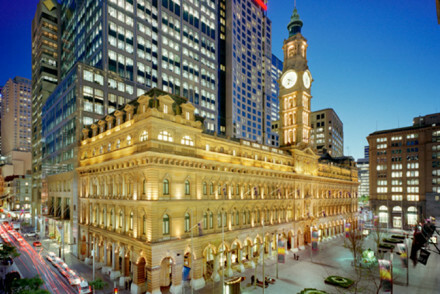 City Style - Palatial immaculately decorated suites, wonderful French cuisine and Sydney's favourite bar- all overlooking the harbour. Total relaxation - Unwind in style with unbeatable service, state of the art spa, hot tub, pool and sauna. Great walks - Perfectly placed for exploring the quaint sandstone cottages and colonial era pubs and churches of The Rocks. Sights nearby - A must for any visitor is the incredible Sydney Observatory, just a few minutes away. Situated in the World Heritage listed Blue Mountains, this luxury hotel offers spectacular rooms with views out to the Jamison Valley. A gym, sauna, pool and spa make for a relaxing stay. An ideal base for exploring the surrounding area. A luxury 12 bedroom lodge (for exclusive use only) set within a picturesque vineyard. Characterful rooms are both indulgent and charming: think solid antique furniture, artefacts from around the world and all the mod-cons. Dine in the locally renowned restaurant and, of course, sample the wines. Country Escape - A luxury lodge surrounded by rolling vineyards. Great walks - Set out straight from the frontdoor on picturesque walks through the vineyards. 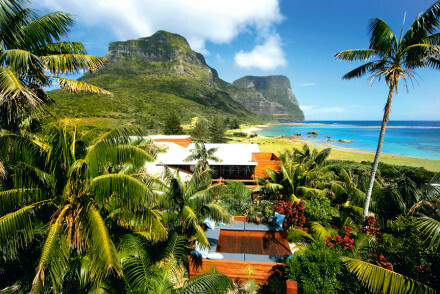 Luxury, eco-friendly resort on Lord Howe Island. 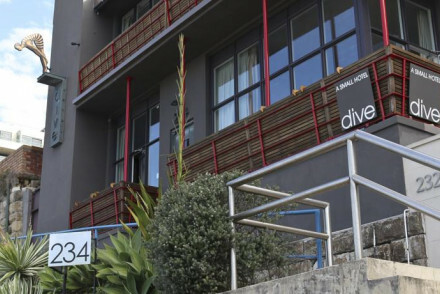 Sophisticated all suite accommodation with beach chic interiors and stunning views of ocean or mountains. Relax in the spa, or explore the breathtaking biodiversity of the island. Communal dining and friendly staff ensure an intimate experience. Guesthouse set amongst eucalyptus trees with fantastic views out to sea, and close proximity to beaches. Four separate pavilions provide chic accommodation with simple yet stunning interiors. Each has a private plunge pool and gorgeous decking area. The perfect place for a romantic getaway. 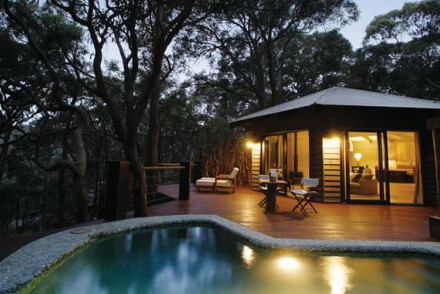 Set in the Blue Mountains on a conservation and wildlife reserve of over 7000 acres, Wolgan Valley Resort takes extravagance to the next level. Accommodation in private villas each boasting a swimming pool, courtyard garden and panoramic views. Perfect for a luxury, back to nature escape.